The 7.5-inch Forerunner is an economical, affordable scrolling color changer that's backed with Wybron's legendary reliability. 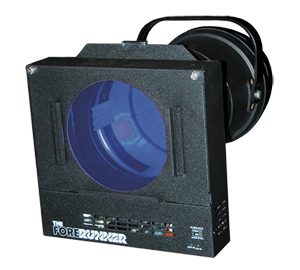 Accommodating gelstrings up to 16 frames long, the Forerunner includes the handy Autoload feature, which makes installing gelstrings simple. The 7.5-inch Forerunner's aluminum case features a non-reflective matte finish powder coat that keeps the color changer clean. The front door is easy to open because it's secured with fasteners that require no tools. Also on the front door is a gel frame holder that can hold a frost gel frame and/or a top hat. The unit’s polycarbonate rollers run on bushings rather than ball bearings for quieter operation. The toothed drive belt provides positive drive to the spring roller for precise gel handling. The cooling fan gives extended life to gel so that even the darkest colors last longer. Careful engineering of inexpensive but reliable components means you get a quality color changer at a price that won't bust your budget. The control electronics have also been time tested. Each color changer can be assigned to any address in the DMX universe, with each address set mechanically – and incredibly easily on the bench. 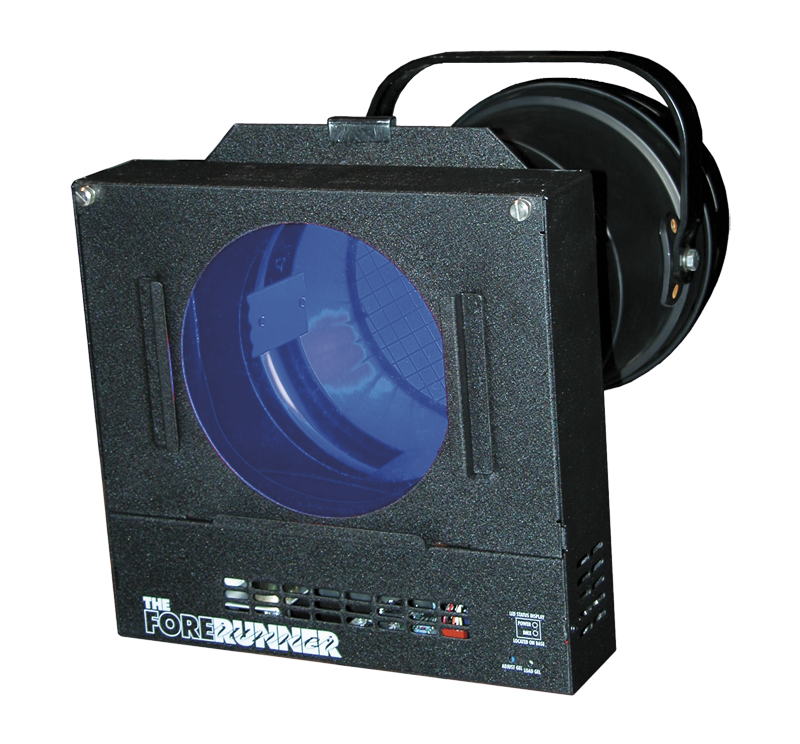 The Forerunner also features the unique Autoload feature, which uses the power supply to load a new gelstring onto the rollers quickly and easily. Even the unit’s gelstrings are simple to use. We attach a special tag to each gelstring, with the tag allowing you to read the date it was ordered and the order number, making re-ordering is easy through ColorExpress. The Forerunner uses Wybron's PS Power Supplies.